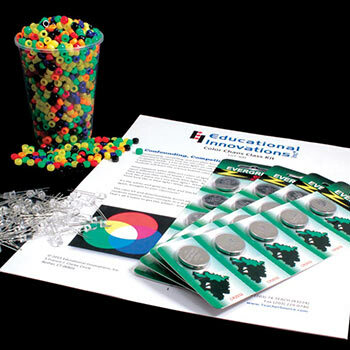 Subtractive Color Theory Demonstration, New Products: Educational Innovations, Inc. 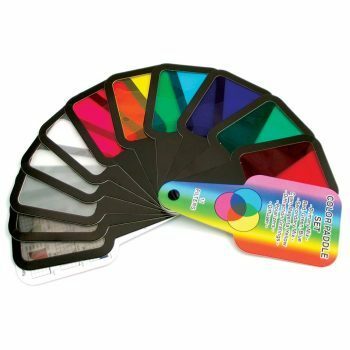 The Subtractive Color Theory Demonstration can be used to promote memory retention, encourage logical thinking, and teach the optics and physics of color mixing. 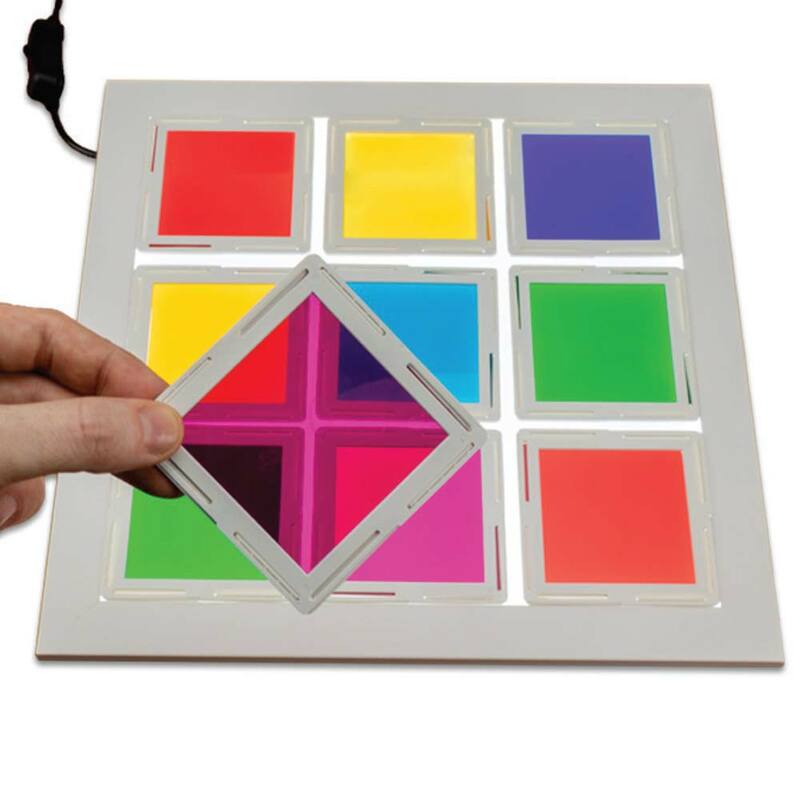 As you are challenged to create specific color designs on the back-lit board, you must predict how colors of the filter tiles will mix either by experimentation or previous understanding - then you must strategically slide the squares into the correct configurations. An extensive guide to lead you through a variety of activities is included! This Color Theory Demonstration has a game-like quality and is elegantly simple. It makes exploring and experimenting with color mixing accessible (and fun!) for curious minds of all ages. Teachers: Use the puzzle as a way to introduce the phenomena of subtractive color mixing to students in a classroom and explore color theory even more deeply through the games and related activities in the included guide. 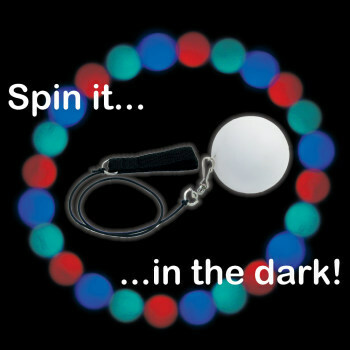 Students can make observations with the Subtractive Color Demo to construct an evidence-based account that objects can be seen only when illuminated. Students can plan and conduct an investigation with the Subtractive Color Demo to describe and classify different kinds of materials by their observable properties. 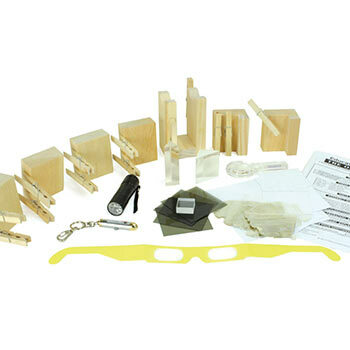 Students can plan and conduct an investigation with the Subtractive Color Demo to develop a model to describe that light reflecting from objects and entering the eye allows objects to be seen. Students can plan and conduct an investigation with the Subtractive Color Demo to describe that animals receive different types of information through their senses, process the information in their brain, and respond to the information in different ways. Students can use the Subtractive Color Demo to develop and use a model to describe how waves are reflected, absorbed, or transmitted through various materials. Students can use the Subtractive Color Demo to conduct investigations and use mathematical representations to support a claim regarding the relationships among the frequency, wavelength, and speed of waves traveling in various media.